Browse for battery chargers by vehicle make and model. 18 Volt 1.8 Amp (18V 1.8A) electric scooter/pocket bike battery charger. Standard 115 Volt AC power input. Two-color LED indicator lamp glows red when charging and green when charging is complete. This is an automatic type charger which turns itself off when the charging cycle is complete to prevent battery overcharging. 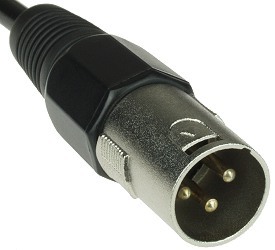 Available with Coaxial style connector plug. Weight 1lbs. Works with electric scooters and pocket bikes that have one 18 Volt battery or three 6 Volt batteries. Item # CHR-18V1.8ACXCN works with MiniMoto® Honda® Sport Racer electric pocket bikes. All of our battery charger have standard 120 Volt wall plugs and the output plugs pictured below are attached to the output cord. We can install any connector plug on any battery charger. If the charger connector that you need is not listed then please call us to special order it. 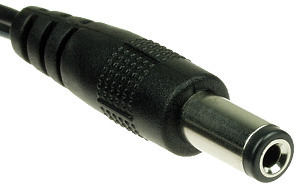 Port and Pin Numbers: The port and pin numbers are usually embossed or imprinted on the plug-in end of the connector. 2-Port Inline and 3-Port Inline - 2-port inline and 3-port inline connectors are the most common type of battery charger connectors used on electric scooters. They are used on Chinese-made electric scooters and bikes including the following models: Razor, Rad-2-Go, Boreem, E-Scooter, Scoot-N-Go, Sunl, Terminator, X-Treme, Viper plus many more. 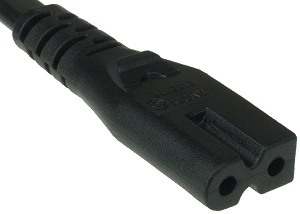 3-Pin XLR - 3-pin XLR connectors are commonly used on 12 Volt, 24 Volt, and 36 Volt electric scooters. They are used on the following scooter models: eZip, IZIP, Currie, Schwinn, GT, Mongoose, Lashout, Xcaliber, Bladez, E-Boarder, Tomb Raider plus many more. 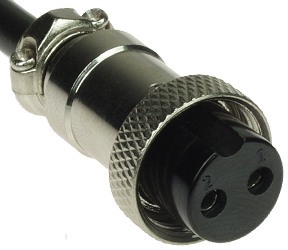 Coaxial - Coaxial connectors are most commonly used on smaller child-sized 12 Volt and 24 Volt electric scooters. 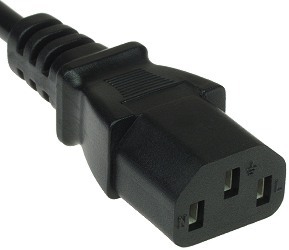 3-Port House - 3-port house connectors are commonly used on 24 Volt and 36 Volt electric scooters. They are used on the following electric scooter model plus many others: Electra® Voy electric bicycles and scooters. 3-Prong House - 3-prong house connectors are used on HCF Cute 002, Cute 301, and Cute 302 and electric scooters. Polarized C7 - Polarized C7 connectors are used on the City Bug E2 and Razor 132E electric scooters. 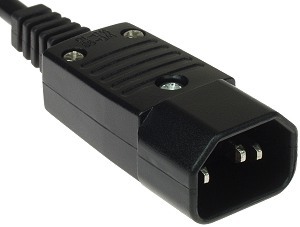 2-Prong - 2-prong connectors are commonly used on 12 Volt electric scooters. They are used on the following electric scooter models plus many others: Zappy (Zap) Classic electric scooters and bikes, Sunpex E-Boarder electric scooter. Always plug the battery charger into the electric scooter, bike, or go kart before plugging into wall outlet. When charging is complete unplug charger from wall outlet before unplugging from scooter or bike. To get the most life out of your batteries recharge them as soon as possible after every ride, even very small rides. Leaving a scooter battery in a partially discharged state lowers the useful life of the battery. When a an electric scooter, bike, or go kart is in storage or not being used frequently recharge the batteries at least every 30 days. 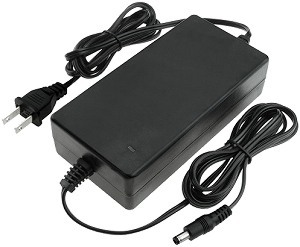 The battery chargers sold on this page are designed for SLA (Sealed Lead-Acid) batteries. Any brand of SLA battery charger may be used on any electric scooter, bike, or go kart that uses SLA batteries as long as the Voltage, Amperage, Connector, and the connectors Pin Polarities are the same as the vehicles original battery charger. Automatic SLA battery chargers are designed so that they can and will not charge defective SLA batteries. This is a safety feature. If a defective SLA battery is attempted to be charged it could overheat and melt or damage the equipment that it is located in. Good SLA batteries bounce back above their rated Voltage level within a few minutes after being discharged. If a SLA battery's Voltage does not bounce back above its rated Voltage level within a few minutes after being discharged then it is usually considered defective or worn out. Sometimes riders and rental stores want to use their electric scooters, bikes, or go karts for more than one battery cycle per day so they use battery chargers with a higher Amp rating than the electric scooters original battery charger. These quick rate battery chargers are typically rated in the 3 Amp through 6 Amp power output range and recharge most electric scooter battery packs in 2-3 hours, however they will slightly lower the longevity of the battery pack when compared to using a slow rate battery charger. To preserve the life of the batteries use a slow rate battery charger whenever possible. If a scooter is driven for more than one battery cycle per day then using a smaller battery charger overnight, and a larger battery charger during the day is the best solution. Do not use automotive or motorcycle battery chargers to charge SLA batteries. These type of battery chargers are designed for charging wet cell lead-acid batteries and if used on SLA batteries may cause permanent damage to the battery and equipment due to overcharging and overheating.